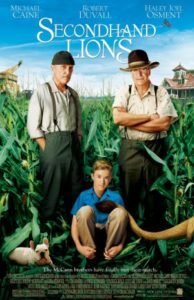 …please join us Friday April 3, 7pm at Fessenden Hall for a showing of Secondhand Lions. This is a fun filled movie with lots of laughs and a strong message of hope, belief and faith.. good for the entire family. Rated PG. Please feel free to bring your favorite snacks to share…Hope to see you there!! !